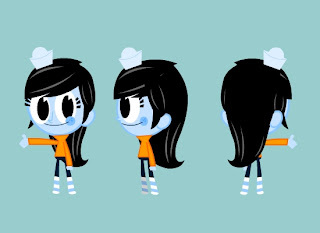 ShipAntics The Adventure Game: Turnaround, brighteyes! 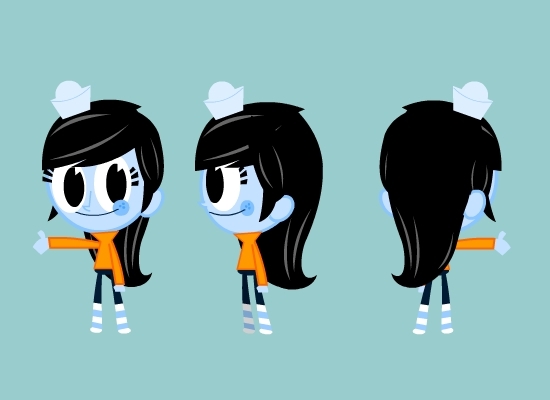 This is an old turnaround for Amanda, with a much simpler, graphic look. Dig the stripey socks.